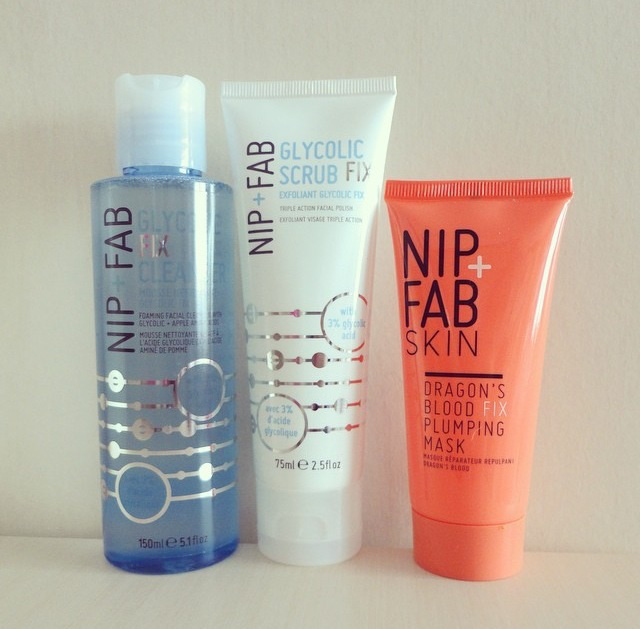 Nip + Fab has such a variety of products that it made it hard to choose what to buy. 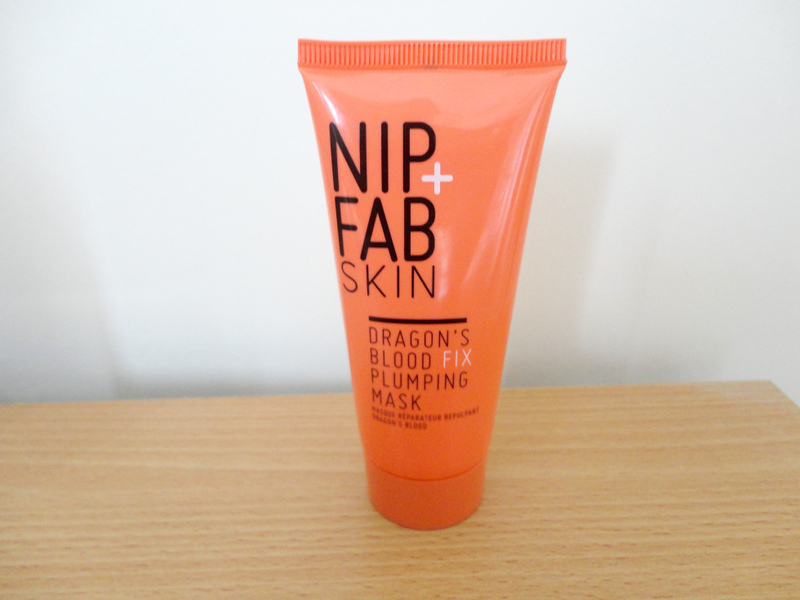 There were products from the Dragon's Blood, Bee Sting, Viper Venom and Glycolic range. The Bee Sting products said on the packaging do not use if allergic to bee stings, which made me not want to buy it as I have never been stung by a bee. Viper Venom is another one I avoided because I hate snakes and anything to do with them. 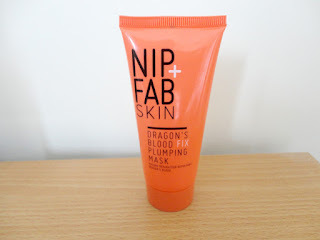 I went for products from the Dragon's Blood and Glycolic range, and I am so happy with what I got. I always go for a face scrub whenever I try out a new face brand, as you can never really go wrong with face scrubs. I have been using it for over a month now and am very happy with the effects, it is the full package. The scrub smells amazing, works like a charm and my skin feels as soft as a baby's. It took me a really long time to place what the smell of the scrub was and what product it reminds me of, then it hit me. It reminds me of Neutrogena's Visibly Clear Pink Grapefruit Scrub, which I love so I was even more happy that I bought the scrub. The grapefruit scent is divine and so refreshing, my skin smells wonderful after using it! I get why Kylie Jenner raves about the Glycolic range so much and the range deserves a lot of recognition for how amazing it is. It exfoliates like a charm and helps get rid of all impurities on your face, it leaves you with a soft and fresh face. 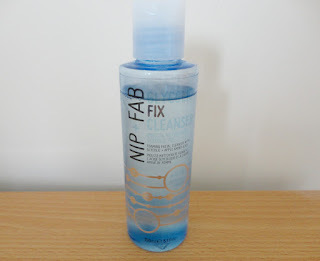 My pores have not looked this good in a really long time and I have Nip + Fab to thank for it. I could not recommend this product more and it is a God send!! 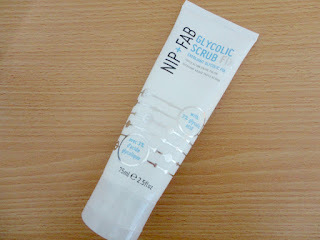 I have a new favourite face scrub that actually does what the packaging says, Nip + Fab have a winner with this product. I bought the cleanser to go with the face scrub and am so glad I did, the Glycolic range is fantastic and pairs very well with the scrub. The cleanser also has the amazing grapefruit scent, which is one of my favourite fragrances. I use it all the time and have barely made a dent in it, which is great as it will last me a very long time and meaning I won't have to buy another one anytime soon. My skin looks softer, more radiant, youthful, healthy and just brighter. The cleanser works really well and using it with the scrub makes it even better I think. I can definitely see myself buying more from this range and repurchasing the cleanser + scrub. The name of this product is awesome, it sounds fierce and like it would live up to its potential. I was really excited to try out the mask and it suggests you leave it on for 10 minutes, but it can be left on for more time depending on your skin type. This mask is really refreshing and helps plump up my skin to give me bright and healthy complexion. I tend to leave it on for 10 minutes but sometimes more, it easily washes off and the after-effect is amazing. I would definitely recommend you use it if your skin is feeling dry or a bit dull, it genuinely does help bring it back to life and it feels so soft. The softness alone is a reason why I will be repurchasing it once it runs out and I 100% want to try the rest of this range. Overall I have absolutely loved trying out Nip + Fab and it is safe to say I am a fan of the brand. It certainly lives up to the hype and it is worth every penny! I really like the packaging of the products, it really helps the brand stand out and make it more noticeable on the shelves.